Question: How is upstairs supported between great room and breakfast room on first floor? Is it open as depicted? 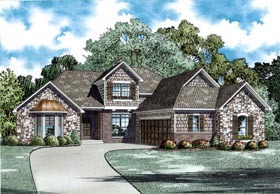 Answer: Thank you for your interest in out home plan design. The upstairs is supported by laminate beams and is open to below over the great room.